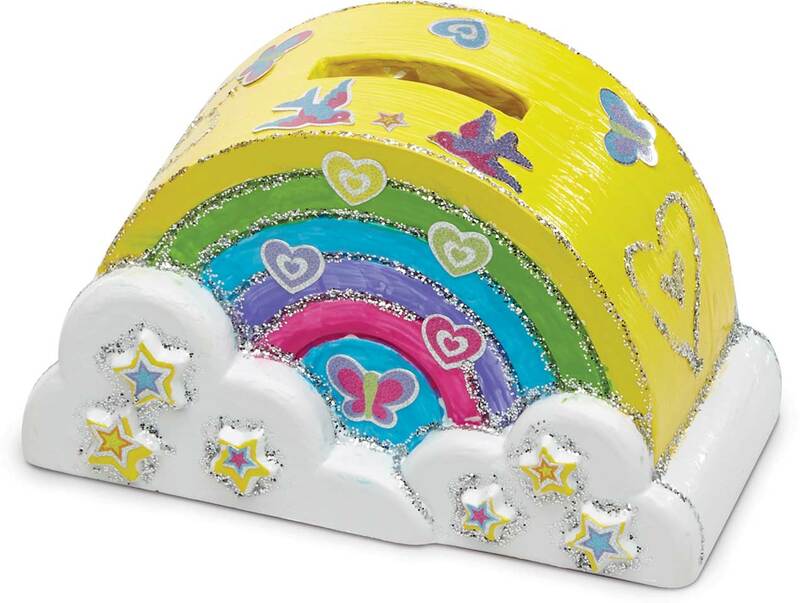 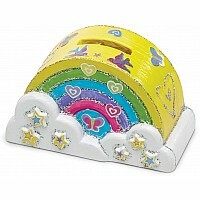 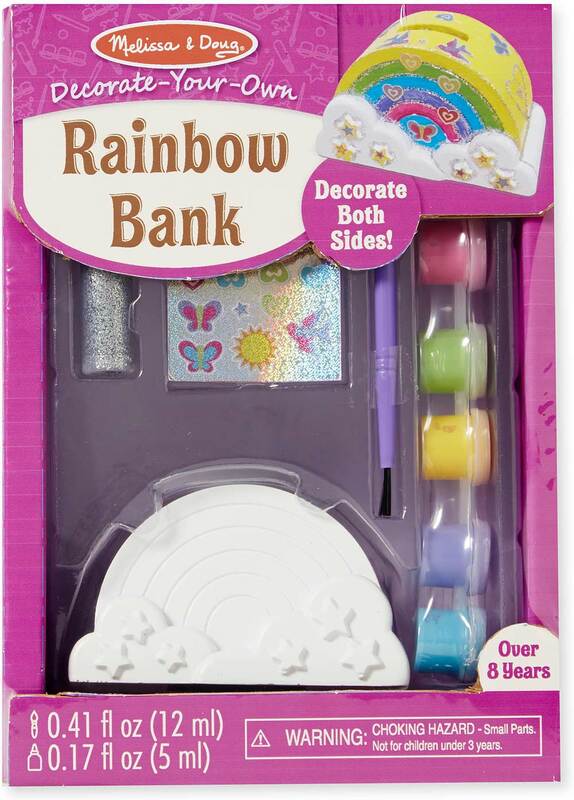 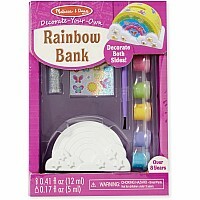 Save your coins in style with this cute resin rainbow bank! 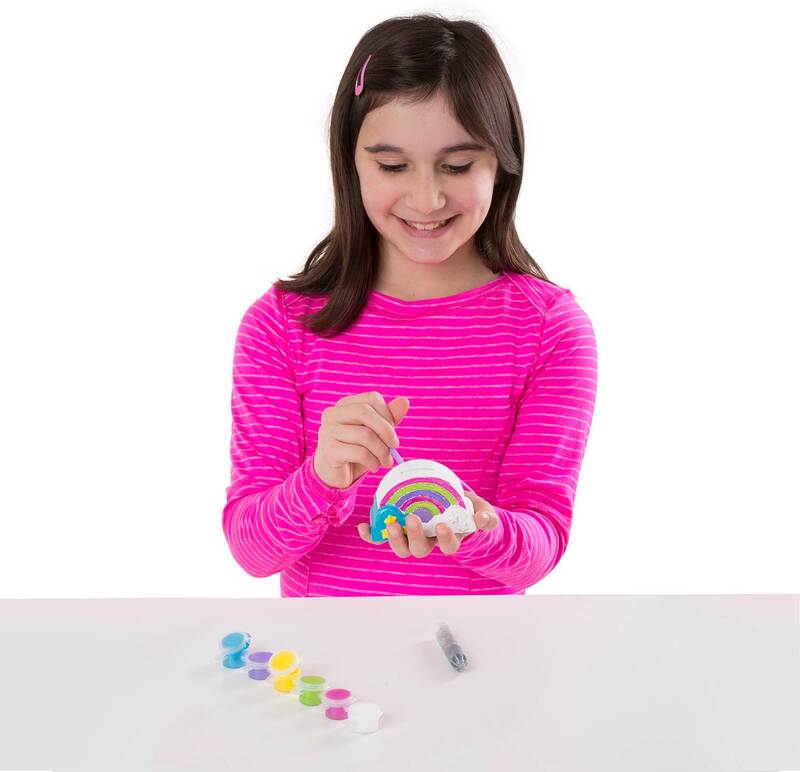 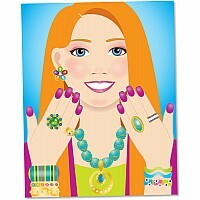 Three-dimensional details on both sides mean that kids have twice the opportunities to express their creativity. 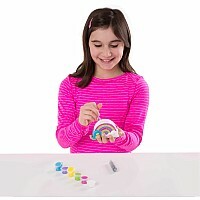 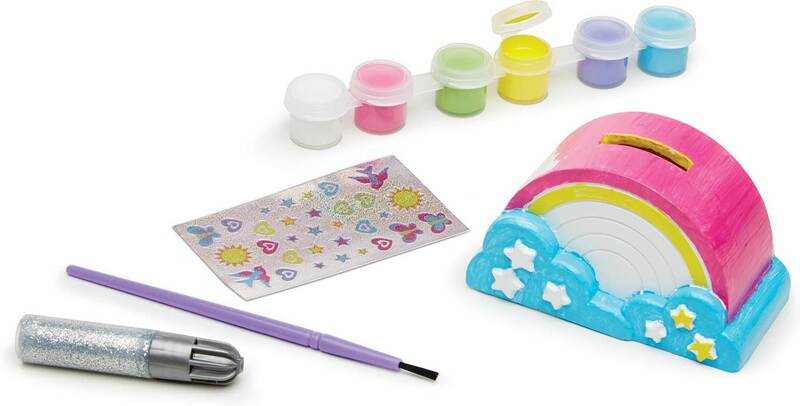 This engaging craft kit includes a resin bank, 31 foil stickers, glitter glue, 6 pots of paint, and an easy-to-clean paintbrush. 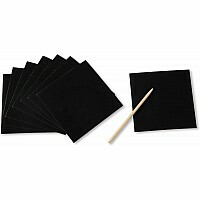 Measures approximately: 3.50 x 5.50 x 8.00 inches..